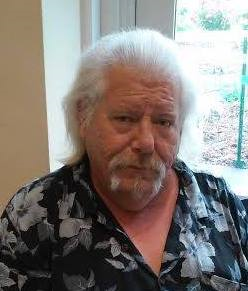 Brendon J. Shannon, age 58, of Quincy, formerly of Hyde Park passed away January 25th. Born in Dorchester, he was raised in Hyde Park and graduated from Boston Tech High School Class of 1977. He worked as a Machinist for a Medical Instrument Company in Mansfield for several years before retiring. Brendon was an avid musician and loved to play his guitar. Beloved father of Elizabeth Shannon of Portland, OR, Meghan Hartley and her husband Vincent of Thunderbolt, GA, Benjamin Shannon and his wife Tawni of Biddeford, ME. Grandfather of Oliver and Ian Hartley. Brother of Christopher Shannon and his wife Rebecca of Canton, Roseanne Shannon of Dedham, Barbara Wendland of Dedham, Susan Shannon of Hyde Park, Anthony Shannon and his wife Phyllis of Readville, and Adam Shannon and his wife Katherine of W. Roxbury. Funeral services are private.